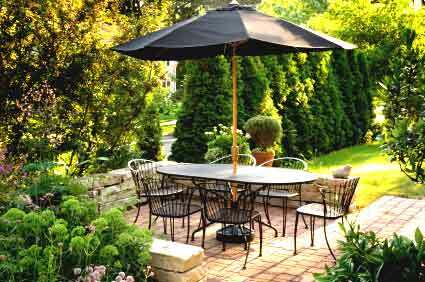 Consider this scenario: You own an iron, steel or aluminum outdoor patio furniture set that has been faded and torn by the sun’s heat or the Winter’s cold. You barely use it any more because it’s really an eyesore and, because the paint on it is peeling and chipping or the finish is fading, it is not conducive to sitting or using. The patio furniture set cost you upwards of $1,000, maybe more. If you’re like most people, you ignore it by keeping it stashed in the garage or under an awning in the corners of the backyard. Or, perhaps, you decide to donate it and buy a replacement patio furniture set. You never think to repair or refinish it. Then someone like Shivie Dhillon from Sundial Powder Coatings comes along and tells you that you can have a new patio furniture set for pennies compared to what you paid for it or will pay for a replacement set. You ask how. He answers, as he did to me, that his advanced powder coating process will transform your old and ugly patio furniture set into a “new, just bought from the store” patio furniture set. Most importantly, he adds, you don’t have to treat, repair or refinish your patio furniture every year or even every other year. His powder coating will provide a longlasting, durable, aesthetic finish that will last 10-20 years whether the furniture lives in the most suffocating California heat or in Boston’s freezing Winter temperatures. The point is that powder coating your outdoor patio furniture set for $200-$300 will save you $10,000 – $20,000 over the course of 10-20 years of use. It’s rare that the common person will know exactly what powder coating is and how expansive and inclusive its uses are for every day products and items. Those who have heard of powder coating believe its uses to be strictly geared to motorcycle parts or car bodies. 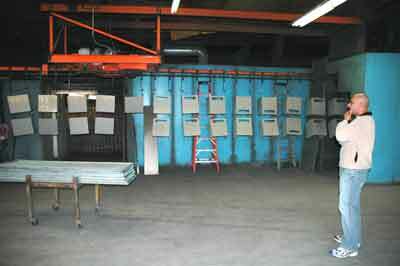 Shivie Dhillon owns and presides over Sundial Powder Coatings and Quality Screen Printings in Los Angeles. He is on a mission to educate homeowners on the affordability of powder coating and the various uses of powder coating on every day products. Shivie Dhillon, managing partner of Sundial Powder Coatings, grew up in southern California’s San Fernando Valley. Shivie’s mechanical, technical and financial expertise allowed him to quickly grasp the complexities of managing a powder coating treatment plant. But it was his budding curiosity and entrepreneurial drive that made powder coating a common term in the home and in the automotive shop. If you were going to try to re-finish or repair your old patio furniture, you would do it with a spray paint can or a spray gun. Your patio furniture, once dried, would look instantly beautiful. You would be so proud you would invite guests over the next weekend for a barbecue. The guests arrive, sit on the furniture and, after a few hours, the paint begins to chip off. You’re bewildered and embarrassed. What you didn’t know was that retail paints are not high quality paints but, most importantly, the patio furniture contained impurities. You didn’t know you were doomed before you even began and this is why do-it-yourselfers (DIY’s) run out of patience and go buy replacement patio furniture sets year after year. Sundial Powder Coatings is the first and ONLY powder coating company in southern California to offer a 7-stage water pre-treatment system. It’s an advanced and innovative pre-treatment wash that clears your patio furniture of impurities with pure de-ionized (DI) water running and washing through a 100% stainless steel housing. You could try ot duplicate Sundial’s water pre-treatment process but it would occupy your entire yard and your neighbors entire yard. it would also cost you hundreds of thousands of dollars to purchase, manage and operate. Shivie says it best: “Unless it’s a 7-stage wash, you may as well spray paint it.” And you now know how longlasting spray painting is.